Gilbert and George, two sculptors who met in college, have been creating work for the last forty years that, according to TimeOut London, "tap into public opinion at just the right time." Confronting the punk anger and racial tensions of the '70s to consumer capitalism in the '80s to the terrorism fears of today, the artists' brightly colored photomontages, though comprised of images gathered within walking distance of the artists' home on London's East Side, are raw examinations of human experience. Gilbert & George features nearly 100 works that trace the stylistic and emotional development of the artists—now icons as the central figures in their art. The picture of British gentility in their dapper tweed suits, Gilbert and George nonetheless wanted to break free of the narrow confines of the art world and communicate beyond those limits, adopting the motto: "art for all." This exhibition, described by the Associated Press as "bold and racy," was organized by the Tate Modern and is their largest retrospective of any artist to date. A Tate Modern, London exhibition in association with the Milwaukee Art Museum. The exhibition is curated by Jan Debbaut and Ben Borthwick, and coordinated at the Milwaukee Art Museum by Chief Curator Joe Ketner. Book your group tour today! Contact Tour Scheduler Passion Terrell at 414-224-3842 or passion.terrell@mam.org and get your inclusive package for only $22 per person. Package includes feature exhibition admission, docent and/or audio tour, and a box lunch provided by Café Calatrava Catering. 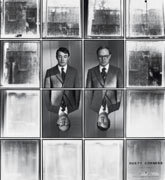 The Gilbert & George exhibition catalog is available online at the Museum store. Donald and Donna Baumgartner, Suzanne L. Selig, Lynde B. Uihlein, Lehmann Maupin Gallery (New York), Sonnabend Gallery (New York), and the Wisconsin Department of Tourism. Additional support provided by Greater Milwaukee Foundation Terry A. Hueneke Fund, Tony and Sue Krausen, Jon Schlagenhaft & Curt Stern, Jean Friedlander, David and Maggi Gordon in memory of Max Gordon, Marc and Jacqueline Leland in honor of Max Gordon, Susan and Lew Manilow, Cream City Foundation’s Joseph R. Pabst LGBT Infrastructure Fund, Reva and Philip Shovers, Leonard Sobczak, Richard W. Weening, and Julilly W. Kohler. 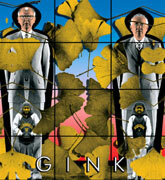 Gilbert & George, Gink, 2005 (detail). Collection Maja Hoffmann. © Gilbert & George. 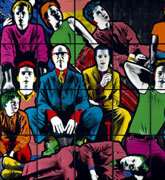 Gilbert & George, Existers, 1984 (detail). Tate. © Gilbert & George. 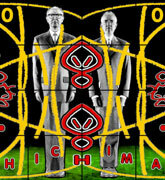 Gilbert & George, Chichiman, 2004 (detail). Collection of Elisabeth Wingate and Ronald Kawitzky. © Gilbert & George. Gilbert & George, Dusty Corners No. 13, 1975 (detail). Private collection, courtesy MaxmArt, Mendrisio. © Gilbert & George.